This post outlines how we’re supporting applicants to make the Fellowship financially accessible. We would love your feedback on this support, so please do email us at hello@lifehackhq.co if you have any thoughts. Applications for the 2017 Flourishing Fellowship closed last week! And while we’ve extended the deadline to allow some extra people to apply, we’ve been cracking into interviews this week. It’s such a privilege to be talking with such passionate, motivated and humble humans from around Aotearoa New Zealand. This year, we’re lucky enough to have applicants from as far south as Invercargill and as far north as Kaitaia. One of the challenges has been striking a balance between financial accessibility and financial viability. Financial accessibility means that the costs do not prevent the right people from participating. Financial viability means we have enough funding to host a quality programme that meets the participants’ needs and delivers the outcomes we’re seeking for young people. 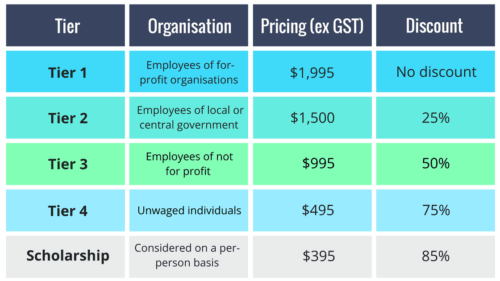 This year’s programme costs depend on the organisation where people work. We are recommend that applicants start any fundraising, scholarship or crowdfunding applications as early as possible. We’ve compiled some useful information below to support this. We’ve put together this sweet brochure for applicants to use when discussing with their employer about supporting their attendance. We’ve also put together a draft letter for applicants to update with their details to approach their employer for organisational support. 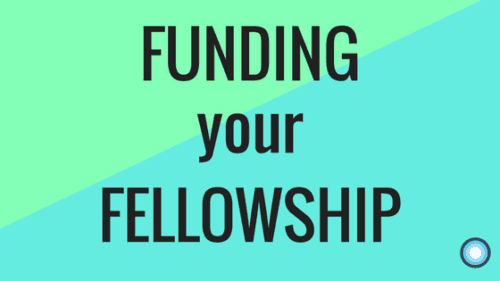 One way for applicants to fund the Fellowship is to seek financial support from their networks and peers. We recommend using PledgeMe – New Zealand’s crowdfunding website. The team over at PledgeMe have released this tool to help plan crowdfunding campaigns. And in case applicants need more support, they can get in touch with Jess at PledgeMe (jess@pledgeme.co.nz or on Twitter). She knows about the Flourishing Fellowship and will be happy to support. Lifehack does not have any direct affiliation or existing relationships with these funders, and they are certainly not the only external funders out there. You can find more funders through GivUs (for organisations) and GivMe (for individuals). Click on the links or contact your local library for free access. We are also offering a small number of scholarships to reduce the programme fees. After their interview, applicants need to fill out this form and we will advise them of the outcome during the week of 15 March. Finally, we have a small fund available to support those who live outside of Wellington with their travel costs. Again, applicants need to fill out this form and we will advise them of the outcome during the week of 15 March. They will need to pay back a Travel Koha if they choose not to attend one or more of the hui, unless this is due to a bereavement or illness. If you’re reading this before 5pm Wednesday 8 March – you’re in luck! Head on over to our application page for all the information you need to apply.